Lock in a great price for Villa 25 – rated 9.1 by recent guests! Great location! Super close to Lago do Machado metro. Christo Redemeer ticket stand is also across the street, relaxed neighborhood. Front staff were incredibly kind and helpful! I had a late flight and was able to leave my things locked despite having checked out. Overall really great price and money value. Villa 25 was absolute heaven ! The breakfast was amazing ! Some blocos would pass right down the street, so party was just a few steps away :) Big up to the staff that would always fill up my water bottle with extra ice, you are the best ! I would recommend Villa 25 100% ! 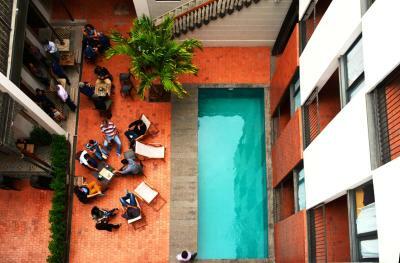 Modern style hostel with a pool and restaurant. Cental Rio. Beds have light, privacy curtain, lots of space. Rooms blasted lovely air-con all the time so you could hide from the sweaty rio mid day heat in your room. 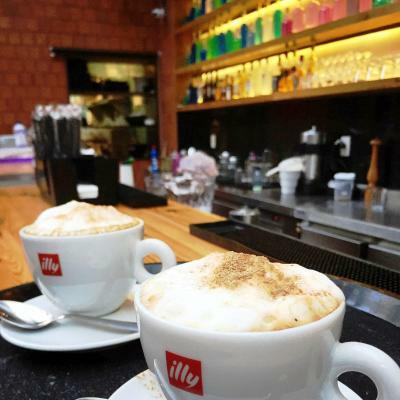 Customer service, staff, great breakfast, safe and close to everything. Good location, curtains, individual socket, light and shelf for each bed. 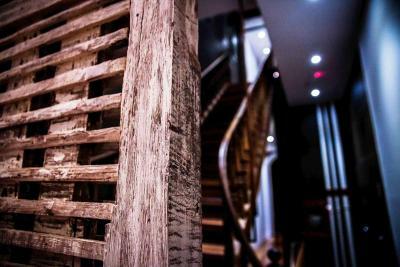 Very beautiful renovated old building with a fantastic wooden staircase. Great showers though need a little bit more cleaning I would say. And the staff is absolutely fantastic. Friendly and helpful. 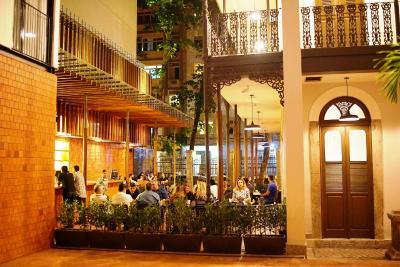 Just next to metro station and few mins walk to Flamengo beach. 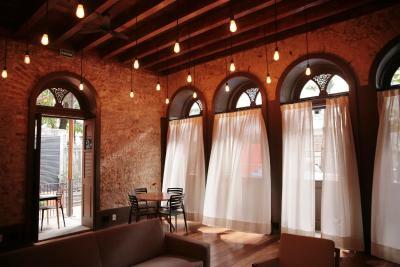 The best hostel out of 5 I stayed at in Rio. Great location and accomodations, specially for such a low price. Nice restaurant and pool. 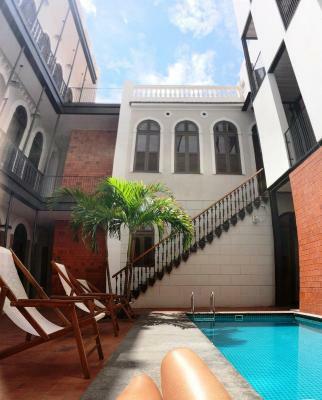 One of our top picks in Rio de Janeiro.Boasting a swimming pool, Villa 25 Hostel & Suites is located in Rio de Janeiro, 0.6 mi from Flamengo Beach, where guests can stroll with an amazing view to the Sugarloaf Mountain. Free WiFi access is available throughout the property. 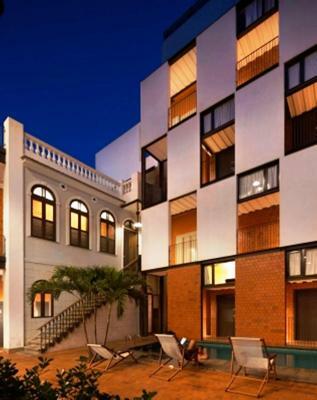 Rooms at this modern boutique hostel feature air conditioning. A flat-screen TV with cable channels is available in some units and bed linen is provided. 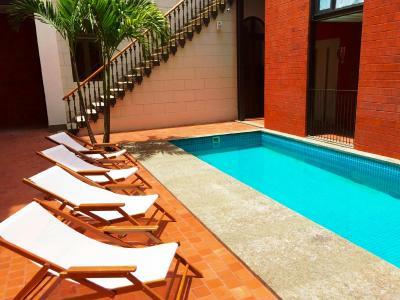 At Villa 25 Hostel & Suites, guests can relax in a cozy patio with a pool or enjoy the on-site restaurant. 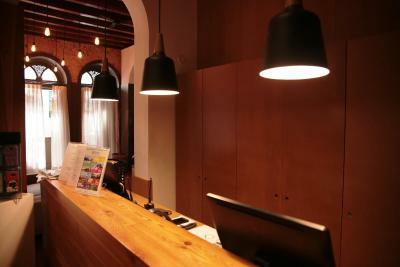 Other facilities include a 24-hour front desk and stylish hangout spaces. 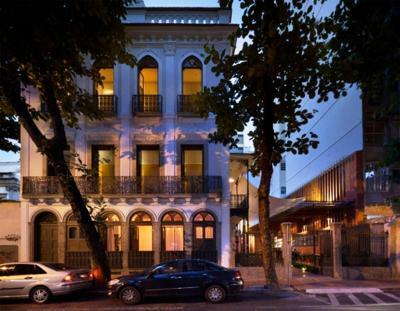 Copacabana Beach is 3.1 mi from Villa 25 Hostel & Suites, while the trendy Lapa district is 1.6 mi from the property. The famous sight is 4 mi from the property, the nearest metro station is 950 feet away and the nearest airport is Santos Dumont Airport, 1.2 mi from the property. 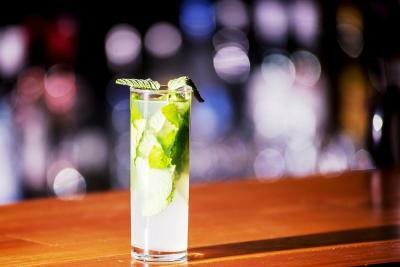 Laranjeiras is a great choice for travelers interested in nightlife, nature and sandy beaches. 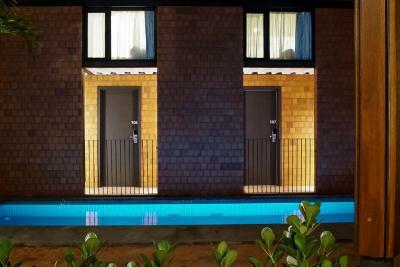 When would you like to stay at Villa 25? This modern quadruple room is located in the annex building. It has a swimming pool view and features air conditioning, a mini-bar, a laptop safe and a flat-screen TV with cable channels. The private bathroom is fitted with a hot shower and free toiletries. 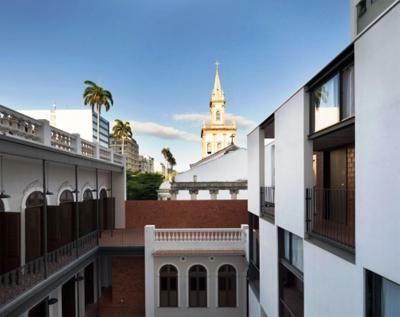 Private parking is available at a location nearby (reservation is not needed) and costs BRL 30 per day. This double room features a view to the patio of the property, a mini-bar, air conditioning and flat-screen TV with cable channels. The private bathroom is fitted with free toiletries. Please note that there is one unit with wheelchair access. Located in the highest level, this double room features a working desk, a laptop safe, a mini-bar, a flat-screen TV and air conditioning. The private bathroom is fitted with a hot shower and free toiletries. This room is only accessible by stairs. 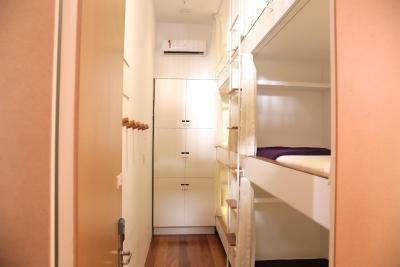 This bed in dormitory features air conditioning (from 20:00 until 10:00). 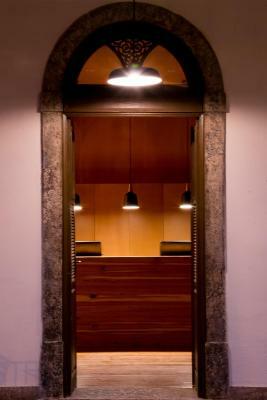 Each bed provides individual lockers, a lamp, a shelf and a curtain for privacy.Free WiFi access is available. Towels and padlocks can be arranged for a surcharge. 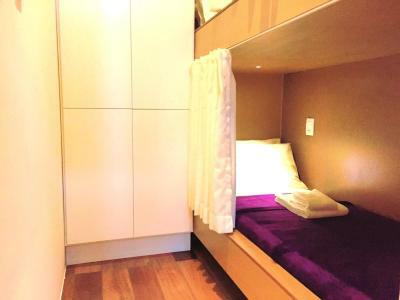 This bed in dormitory features air conditioning (from 20:00 until 10:00), individual lockers, a lamp, a shelf and a curtain for privacy.Free WiFi access is available. This dormitory room features air conditioning. Each bed has individual lockers, a lamp, a shelf and a curtain for privacy. Free WiFi access is available. 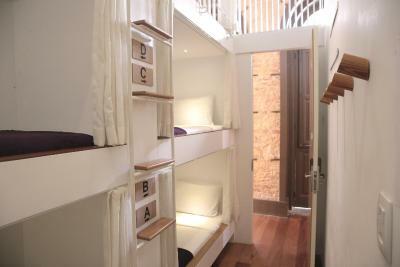 This bed in dormitory features air conditioning (from 20:00 until 10:00), individual lockers, a lamp, a shelf and a curtain for privacy. Free WiFi access is available. This stylish Suites are located at the Design Building. 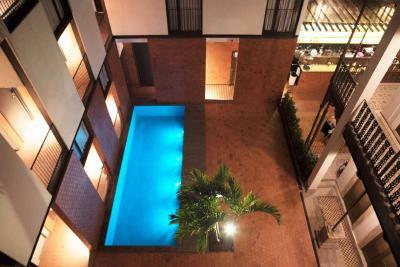 Features a 3rd bed in mezzanine, a mini-bar, air conditioning and flat-screen TV with cable channels. The private bathroom is fitted with free toiletries. Area Info – This neighborhood is a great choice for travelers interested in nightlife, nature and sandy beaches – Check location Excellent location – show map Guests loved walking around the neighborhood! 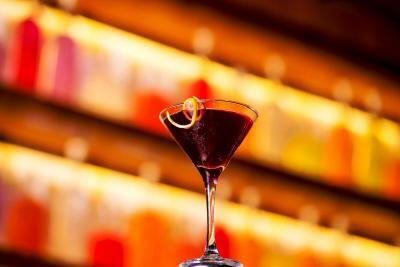 House Rules Villa 25 takes special requests – add in the next step! All children under 6 years are charged BRL 50 per night for extra beds. Villa 25 accepts these cards and reserves the right to temporarily hold an amount prior to arrival. 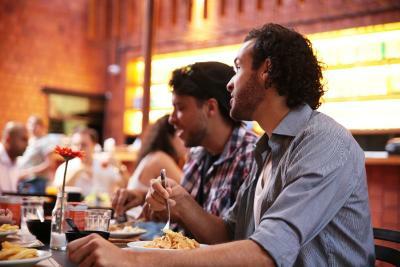 Not a huge social place, in the sense of Meeting other travelers so if you’re traveling alone it may not be the best. Towels are extra! It was difficult to climb onto the bed due to the location of the steps. I did injure my knee a bit. The old building charm was a delight. The beds were made fresh every day and breakfast was wonderful. 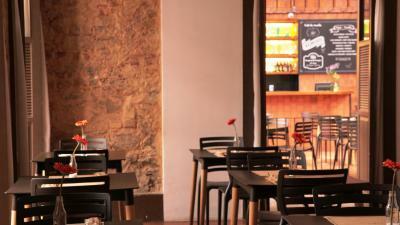 Centrally located near metro and shops. The staff were nice and I had a really good experience. The fact there was only 1 toilet on each floor for females but the males had two bathrooms It was difficult to open the hostel doors, the keys never worked. Aggressive security guard. Bed over 2 meters above ground - Very dangerous. Permanent air conditioning at freezing levels. Average breakfast with slow replacement. Poor staff response to issues. Over charging for tiny bottles of water. Average location in Rio, there are much better places. Nice old building. 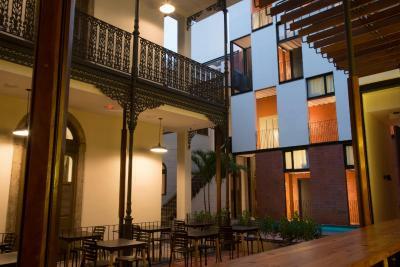 Pleasant courtyard. 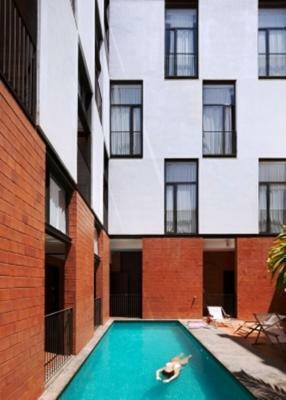 Good design, nice swimming pool, location right between beaches and places to go out in. The addition of a tip / surcharge on every purchase of 12% became off putting, especially as it applied to bottled water which was already very expensive. This was my only major negative. Over all experience was terrific - can recommend. First and foremost, The staff service was disappointing. At the check in moment, the receptionist (the bald man) did not even provide basic information. 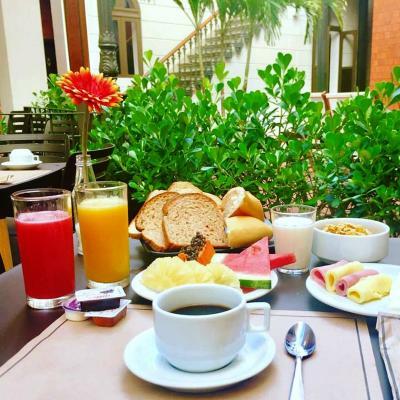 He did not tell us if the breakfast is included, the breakfast type(buffet/served), breakfast time, how to access to wifi. 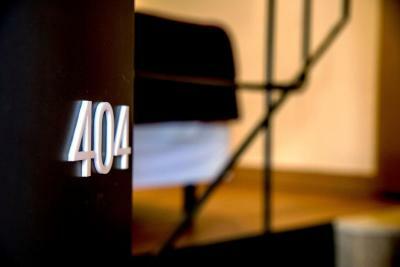 Plus, he said our room(302) was in a quite confusing location but he did not guide us to the room. He just explained by words but soon we found out his explanation was not enough. We had to roaming around the building finding out how to get to the room with all our baggage at 3AM. In addition, the amenities were not set as our number of guests. We were three people so we booked the room for three. However we could see that only two towels, two shampoos and two soaps prepared for us. What is more, the shampoos and soaps were not refilled during our stay. A little noise room was directly above the bar and a party on the first night meant little sleep. The night light automatically turned up when I waked up to the toilet in midnight , sweet design Great breakfast !! I was given a 3rd level bunk. Like a triple bunk bed. So climbing up and down 3 levels is a real pain and seems kind of dangerous, especially after a few caipirinhas. The room I was in was a little tight not so much room on the floor for thing, either in your locker or on your bed. Also, Not a backpack vibe to the hostel. No one was chillen at the bar or socializing. You know what I mean. 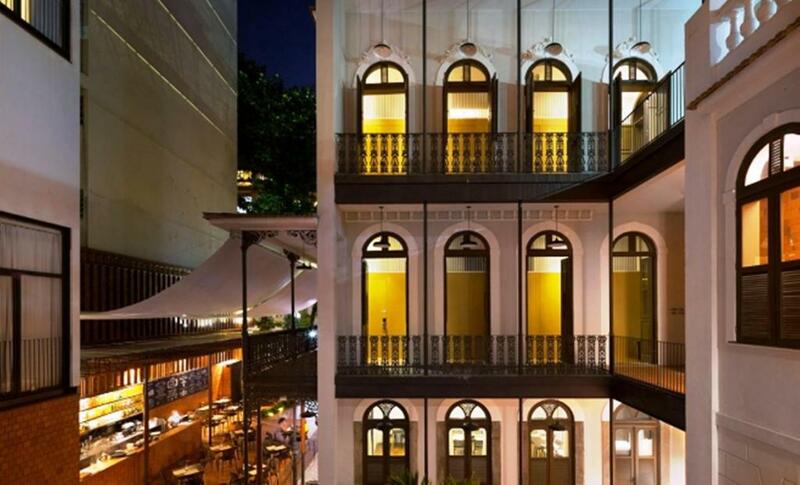 its more of a hotel with dorm rooms than a straight up backpacker hostel. The breakfast was not the best. The bread was just overly soft white bread and the cheese etc was basically tasteless. 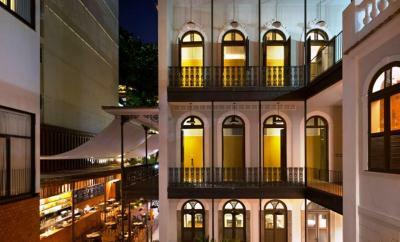 Beautiful hotel, with a good restaurant and well designed rooms. Good value for money and located in a calm neighborhood just a short walk from a beautiful park and even the beach.